Nominations for the AHRF’s biennial Heritage Awards are now open! 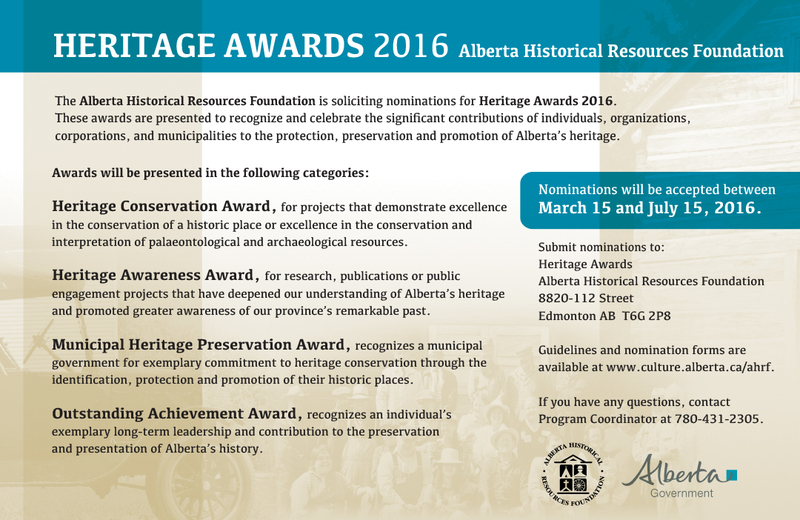 This is an excellent opportunity to recognize and celebrate the outstanding accomplishments of individuals, organizations and municipalities who have demonstrated their commitment to preserving, and promoting appreciation of, Alberta’s heritage. Awards are presented to projects for the Heritage Conservation and Heritage Awareness Awards; to municipalities for the Municipal Heritage Preservation Award; and to individuals for the Outstanding Achievement Award. Deadline for nominations is July 15. The awards ceremony will take place on October 14 at the McDougall Centre in Calgary. 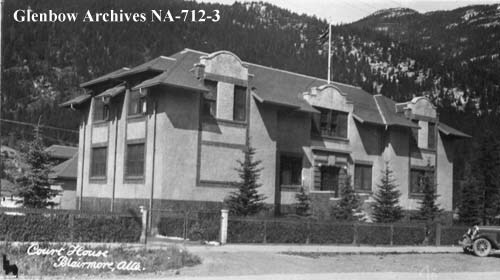 Have you ever wondered about how development impacts heritage sites in Alberta? Today’s post is for you! Check out the following infographic, which presents data collected by the Archaeological Survey at the Historic Resources Management Branch. Fire science has come a long way but the growing practice of prescribed burning is actually a return to a deep past. Archaeological and paleoecological researchers are demonstrating that Western Canada has been burning at the hands of people for thousands of years. Much of what was thought to be wilderness in the early 1900s was likely a mosaic of manipulated landscapes influenced by controlled burns. Alberta has a rich history of fire use and the recognition of it has implications for modern conservation and land management.